Sri Lankan tea known for generations as “Ceylon Tea” is reputed for its’ taste and aroma world over. Sri Lanka is the largest producer of orthodox tea in the world. 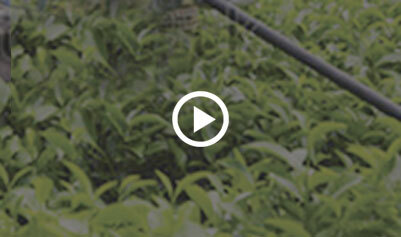 Currently, Sri Lanka ranks as the fourth largest tea producer of the world. In the global export front, the country holds the position of third largest exporter of tea. Sri Lanka applies ISO 3720 as the minimum standards for tea. Sri Lankan tea growers and manufactures adopt Good Agricultural Practices (GAP) and Good Manufacturing Practices (GMP) and produce tea under the highest social and environmental standards. The tea processing factories for exports continually improve and upgrade to meet required technical and hygienic standards to conform to the international food safety requirements. Most Sri Lankan tea producers have also consistently promoted the adoption of the most stringent agricultural standards and practices, particularly through the adoption of international quality certifications including HACCP, ISO 22000, Fair Trade, Forest Stewardship Certification(FSC) ISO 9000, CQC, Ethical Tea Partnership (ETP), UTZ, Rainforest Alliance (RA), Global GAP, SA etc. thereby ensuring the maintenance of extremely strict production and processing standards that ensure the safety of consumers, workers and the wider environment. Sri Lanka exports approximately 50% of its tea in value added form. The product range includes black and green tea in tea bags, consumer packs, gifts boxes, Ready to Drink (RTD) form, instant tea and flavored tea etc. Tea based soap, bath gel, shampoo and cosmetic products have recently been added to the product range. The Lion Logo is owned by Sri Lanka Tea Board and globally trademarked. The franchise rights for the use of Lion logo awarded to exporters for those products meet not only specific legal requirement for the lion logo scheme but which also should pass the quality test. Lion Logo on the pack of tea is a guarantee for 100% Pure Ceylon Tea packed in Sri Lanka. Anybody who wishes to use the Lion Logo franchise should follow the following procedures. Lion Logo application and guide lines should be collected from the Tea Tasting Unit of Sri Lanka Tea Board. According to the guide lines, the application should be duly completed and forward with the Lion Logo packs to the Tea Tasting Unit. After evaluating the packs, the applicant will be notifying the position of this Application, if it is approved, a certificate valid for three years will be issued. Under the same brand for additional packs or destinations the Applicant should submit the packs and application as accordingly for evaluation prior to shipment. During the 1970s, scientists studying Earth’s atmosphere found that ozone was vanishing from its upper levels. By 1985, a very large area above Antarctica was almost entirely free of the gas. The cause of this depletion was quickly identified as chlorofluorocarbon compounds or CFCs for short – a family of chemicals then commonly used in refrigerators, freezers and air conditioners. CFCs rise into the upper atmosphere, react with the ozone there, and destroy it. But besides CFCs, there was another offender: methyl bromide, a pesticide used to fumigate soil and many agricultural products. At the time this was discovered, methyl bromide pesticides were widely used in the Sri Lankan tea industry, on estates as well as in warehouses, aboard ships in and other places where tea was stored or transported. No-one suspected the environmental damage these pesticides were causing, 10-15km up in the sky. . Alarmed by warnings from the scientists, the world’s nations met in Montreal, Canada in 1987 to decide upon action to protect the ozone layer. Out of this meeting came the Montreal Protocol, signed by 191 countries including Sri Lanka. Under the protocol, methyl bromide use by the Sri Lankan tea industry was progressively reduced, then done away with altogether. As a result of such prompt and effective action by the tea industry and others, Sri Lanka was acclaimed a ‘leader in ozone-layer protection’, receiving the Montreal Protocol Implementers Award in 2007. All tea grown in Sri Lanka is now one hundred percent ozone-friendly. This is a distinction of which no other tea-producing nation can boast. Plans are now being drawn up to impose a total ban on methyl bromide use in applications like export packaging and shipping. As of May 2011, all Ceylon Tea is entitled to bear the new ‘Ozone Friendly Pure Ceylon Tea’ logo, certifying that it has been produced without the use of any ozone-depleting substances. When you reach for a cup of Ceylon Tea, you’re not just refreshing yourself; you’re also helping refresh and renew an environmental resource critically important to all life on Earth.